Khepera IV embeds state of the art features. 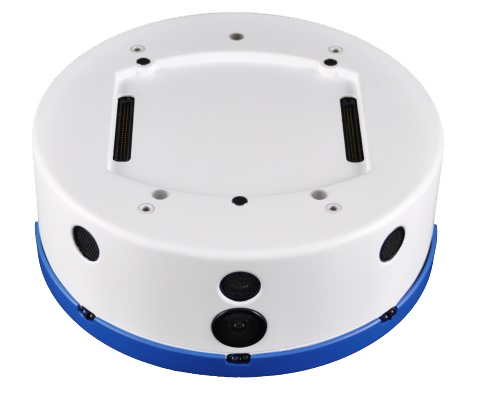 The Khepera IV is a compact robot designed for any indoor lab application (table, lab floor). Compact, it requires a small space to operate, even in swarm. 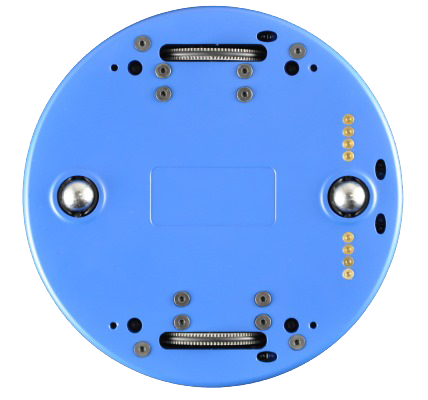 With its high flexibility, the Khepera IV robot can be used in almost any application such as navigation, swarm, artificial intelligence, computation, demonstration, etc . Thanks to the KB-250 bus which allows you to stack many different extensions in a few seconds on the top of the robot, providing an unbeatable modularity. The newest generation of Khepera is bringing with it a whole lot of new features such as embedded Linux core, color camera, WiFi, Bluetooth, USB Host, accelerometer, gyroscope, microphone, loudspeaker, 3 top RGB LED, improved odometry and precision. More stable than ever, you can now plug more extensions on the robot. The different sensors precision has also been improved and the odometry is even better than the Khepera III. The robot includes an array of 8 Infrared Sensors for obstacle detection with 4 more for fall avoidance or line following as well as 5 Ultrasonic Sensors for long range object detection. The robot’s motor blocks are using very high quality DC motors for high efficiency and accuracy. 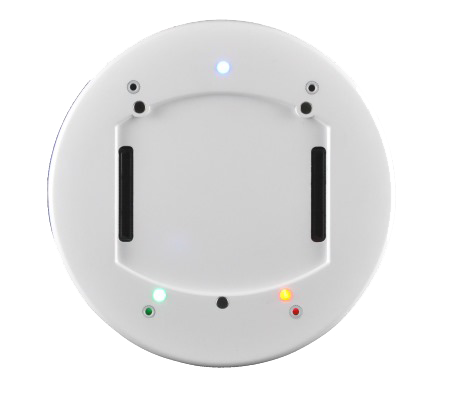 The internal battery provides a running time of about 7 hours. With its Linux core, the Khepera IV embeds a complete standard Linux Operating System. It provides a well known standard C/C++ environment for application development. Almost any existing library can be easily ported on the Khepera IV, allowing the development of portable embedded algorithms and applications. The performance evaluation of the Khepera IV is available here (courtesy of the DISAL from the EPFL). We thank the DISAL form the EPFL for this review, especially Soares, Jorge Miguel; Navarro Oiza, Inaki; Martinoli, Alcherio. Additional turrets will reduce battery life. Development Environment for Autonomous Application GNU C/C++ compiler, for native on-board applications. The Khepera IV is running a full standard embedded Linux Operating System. All applications are developped using the embedded Linux environement which provides several major benefits for developpers. A new library, the libkhepera, is also provided to interface applications with all the robot peripherals and extensions. The Linux kernel is known for its stability and efficiency. Applications will rely on a virtually bug free kernel and will be unable to cause system failures. The robot supports a real flash filesystem. Applications can read, create and modify files or directories for data logging, configuration files reading, data storage, etc. Most USB devices are supported by the Khepera using standard Linux drivers. Application developer can first rely on the standard C libraries, including all the classic utilities of a Posix system. Moreover, almost any library can be ported on the robot, providing a limitless repository for quick application development. The Linux distribution is based on the Familiar distribution for embedded devices. It supports the ipkg package system for installation of new software. New packages can be downloaded from ipkgfind website.